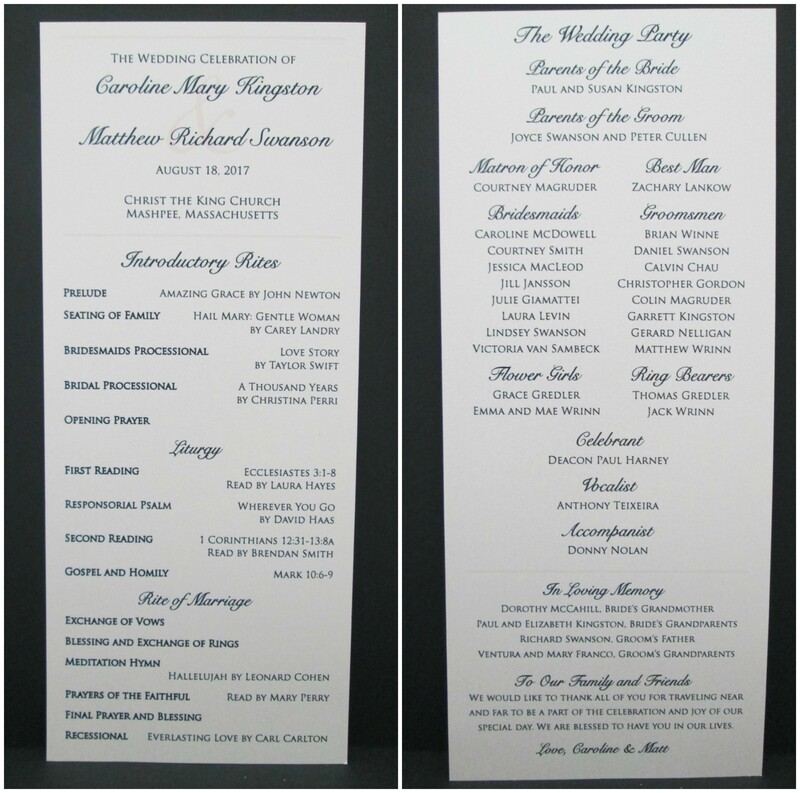 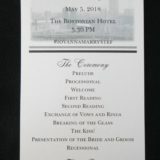 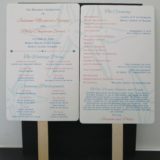 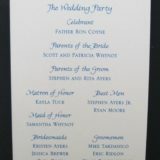 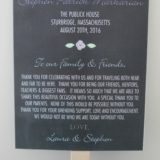 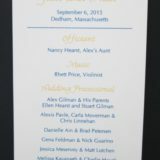 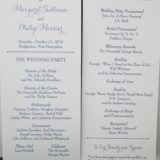 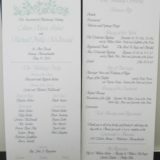 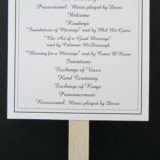 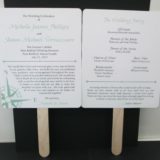 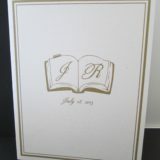 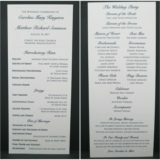 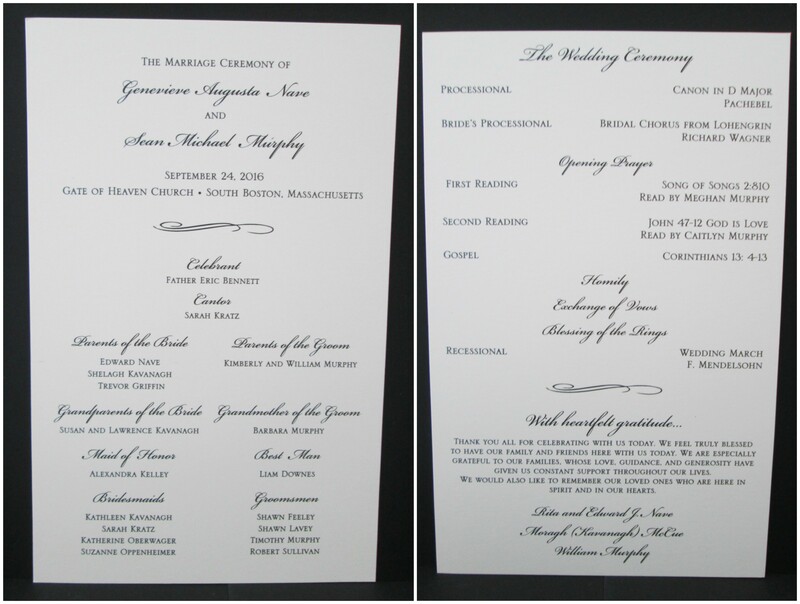 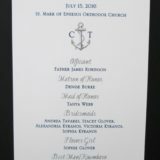 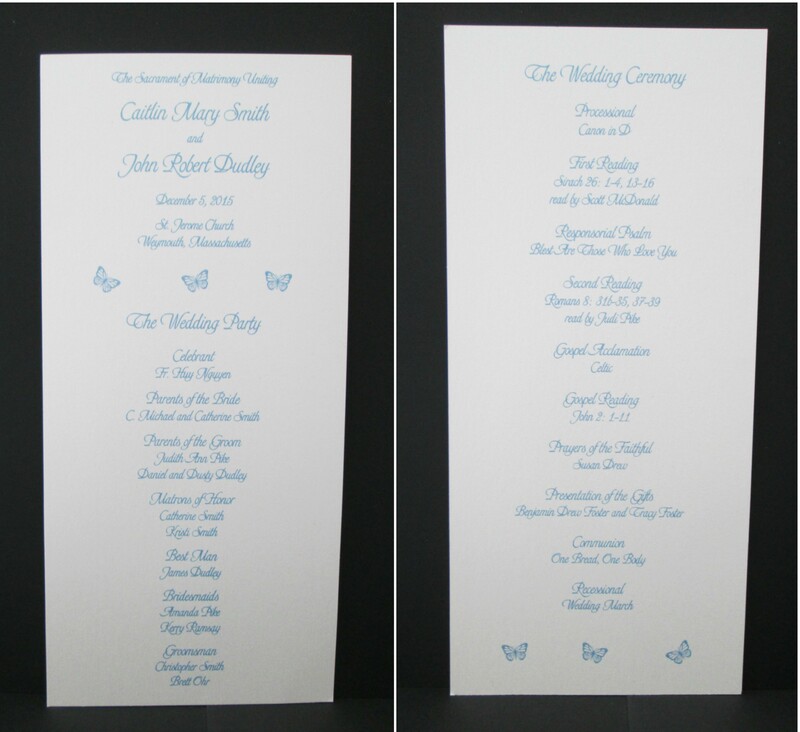 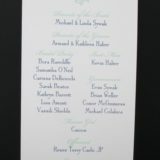 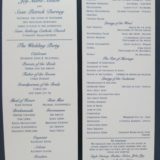 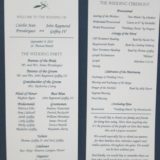 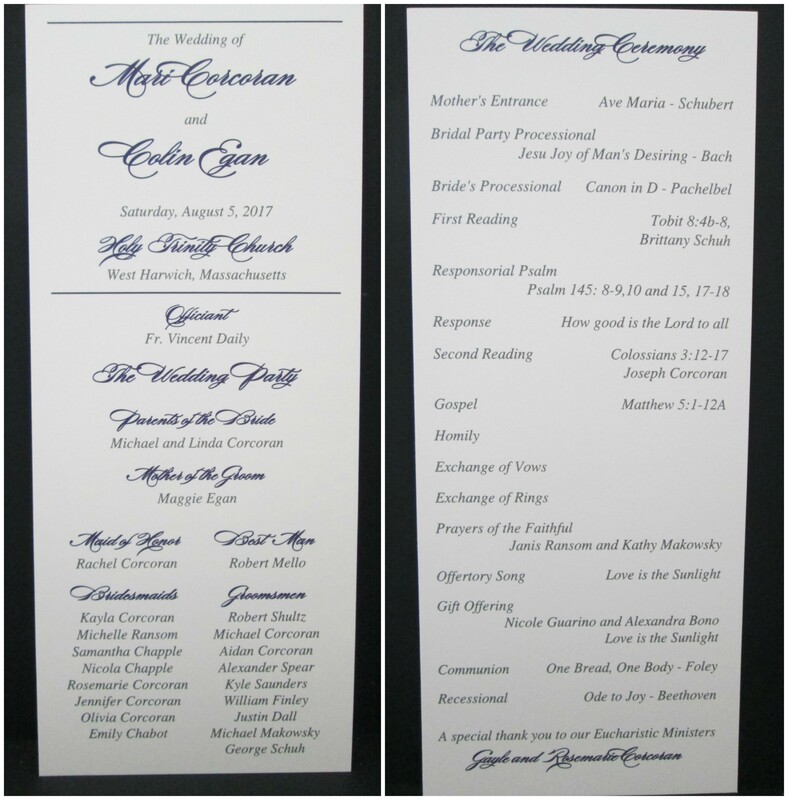 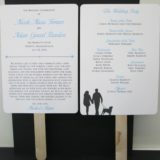 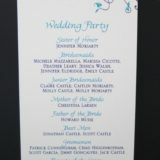 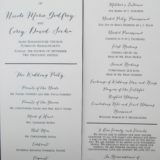 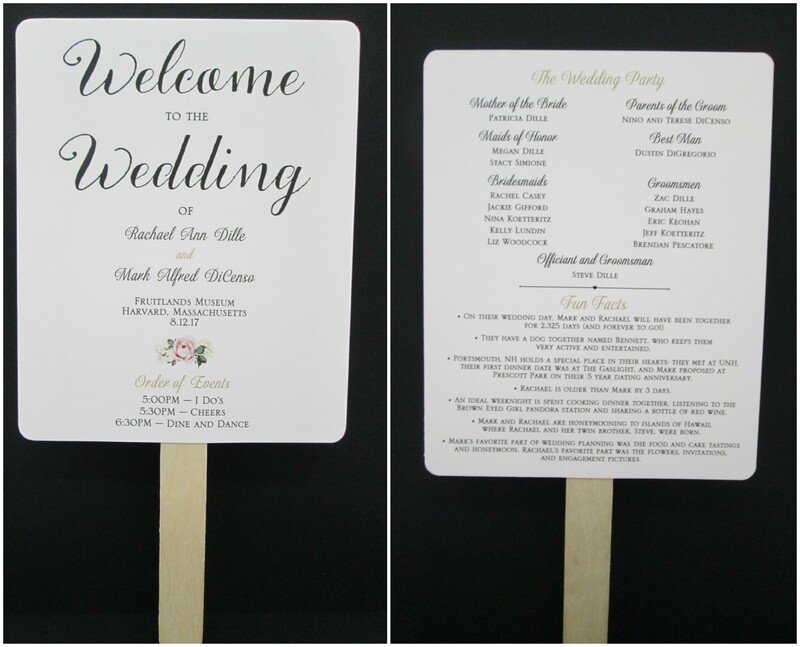 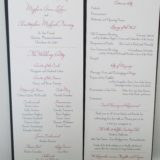 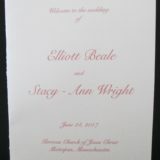 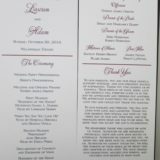 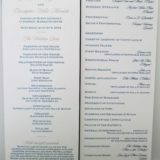 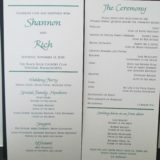 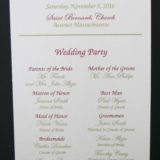 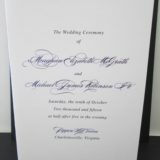 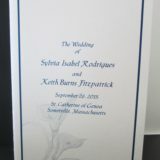 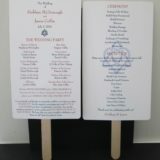 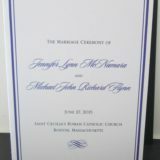 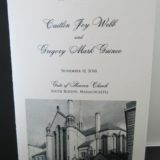 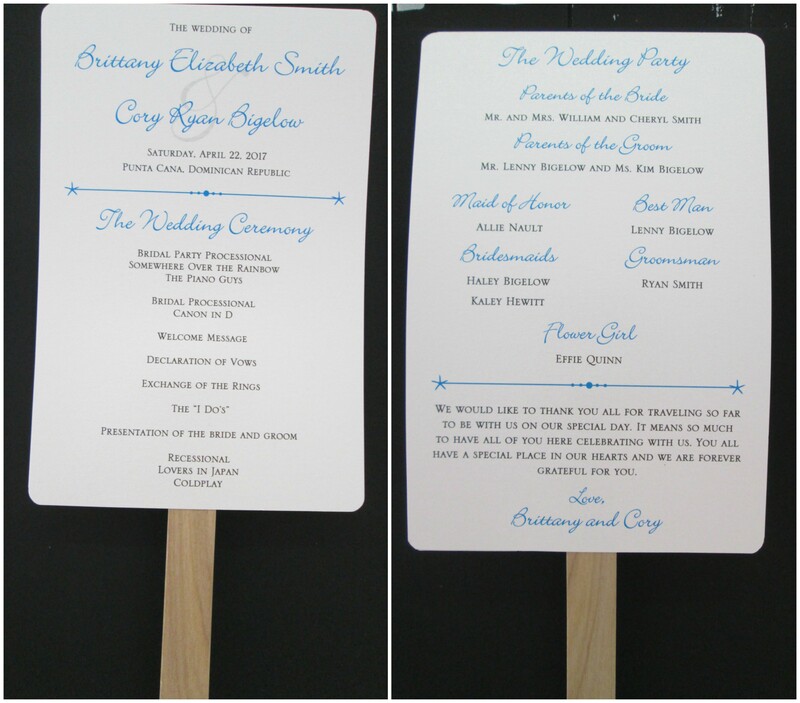 Ceremony programs are a helpful way to enable your guests to follow along with your ceremony. 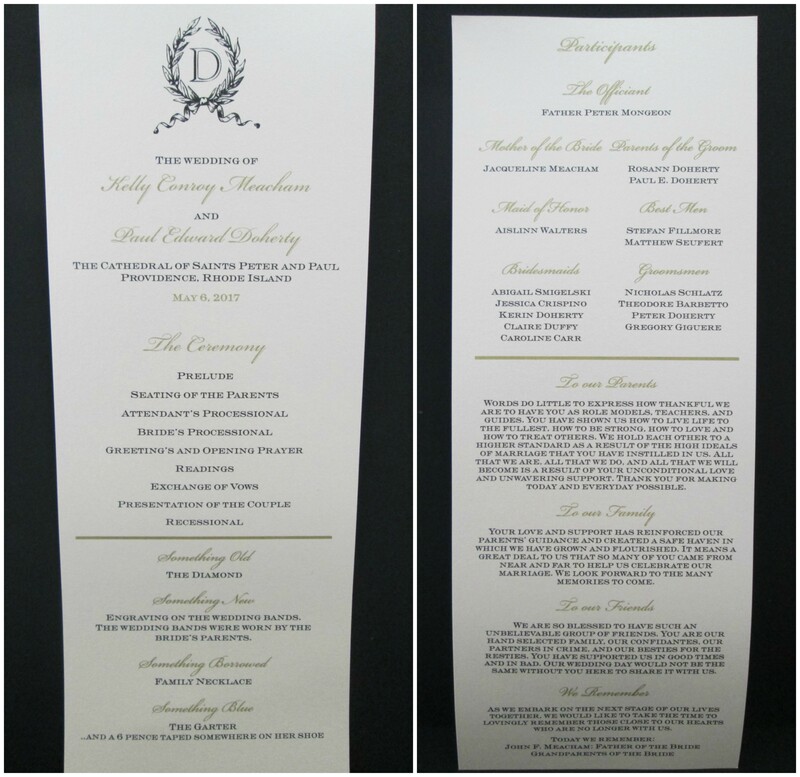 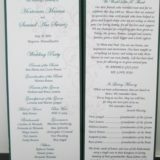 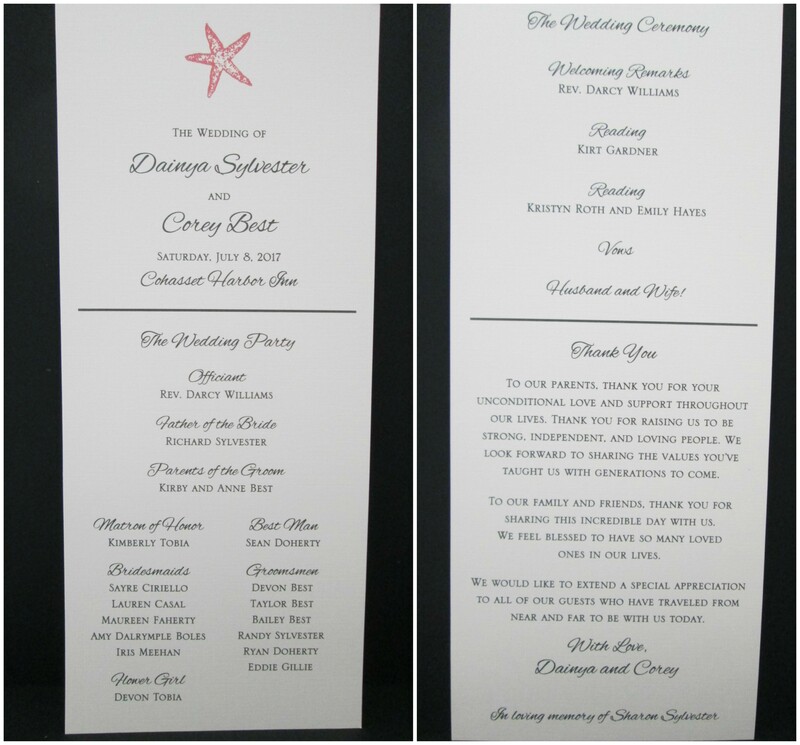 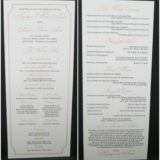 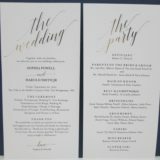 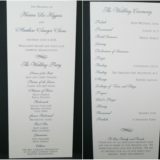 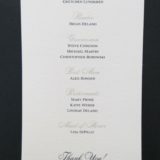 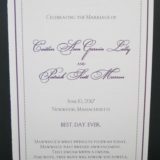 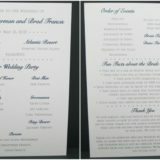 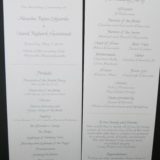 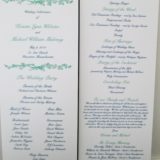 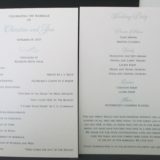 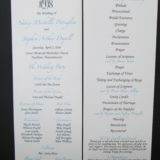 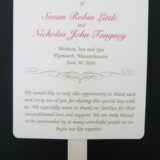 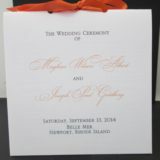 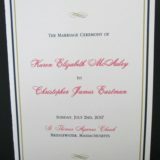 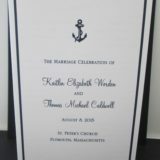 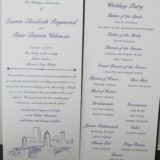 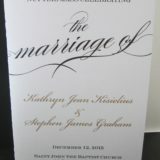 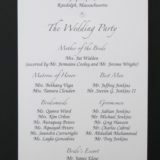 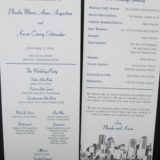 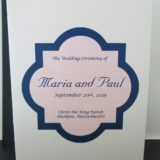 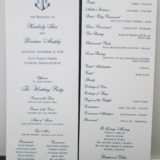 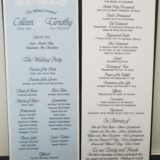 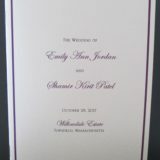 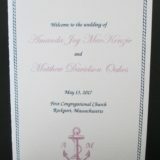 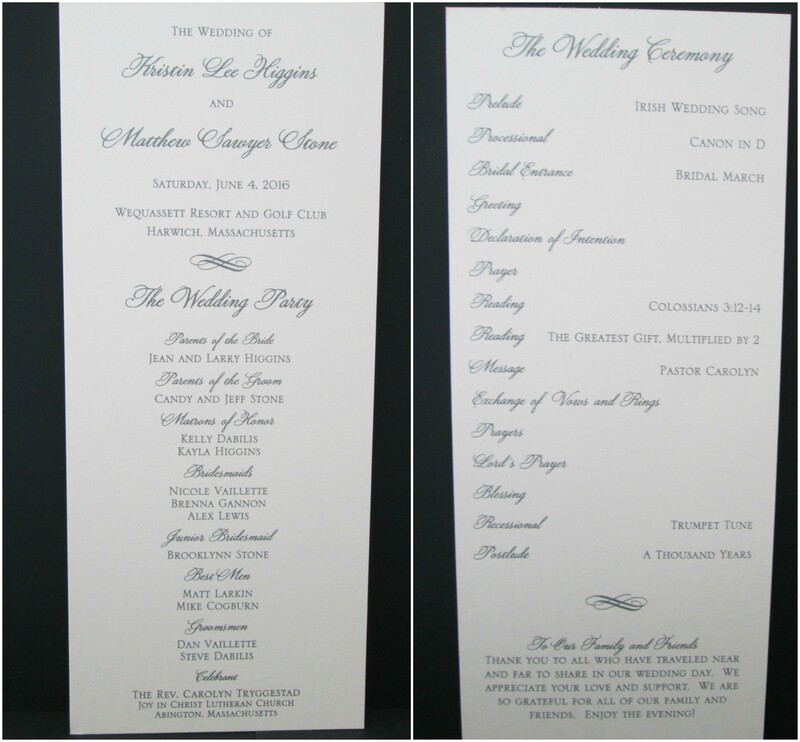 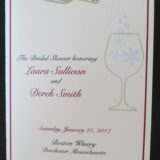 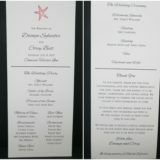 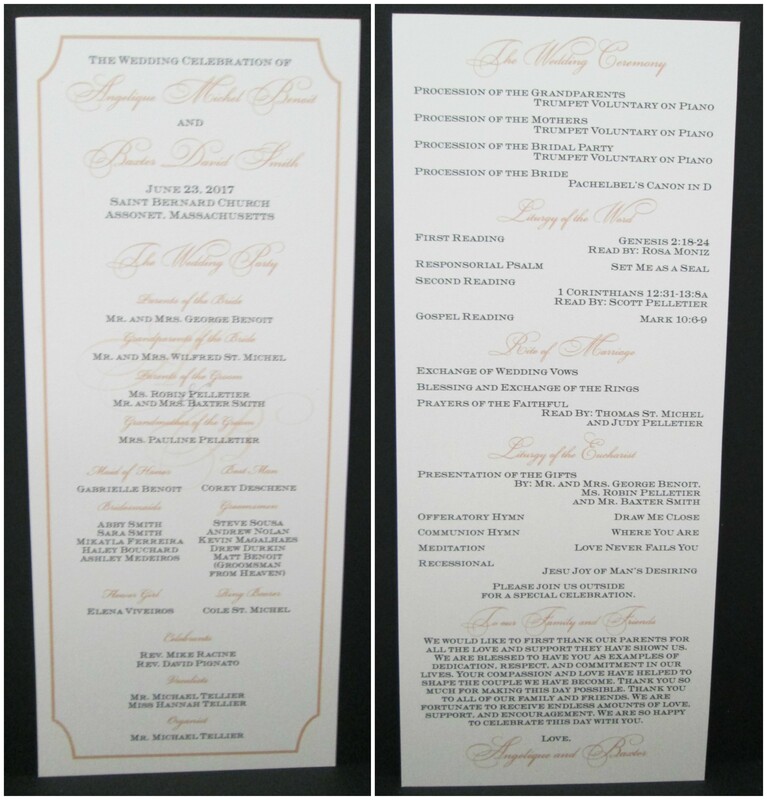 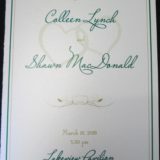 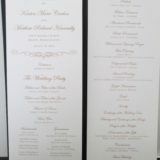 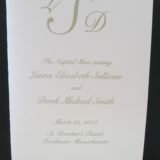 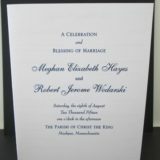 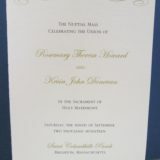 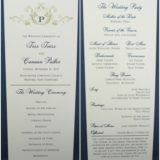 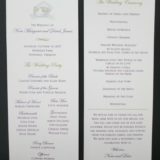 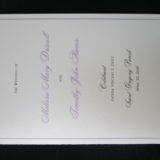 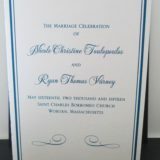 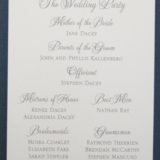 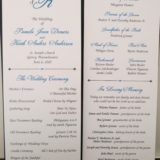 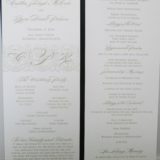 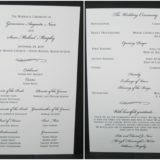 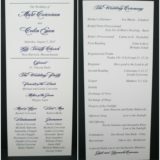 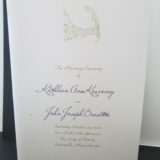 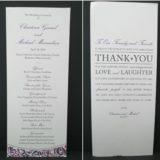 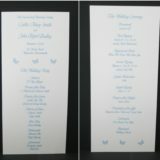 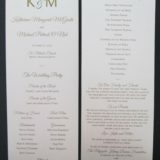 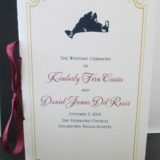 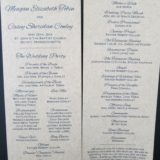 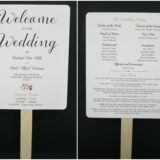 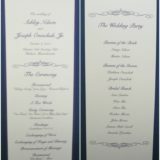 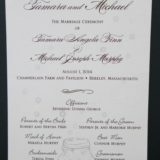 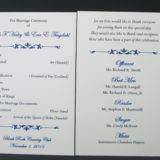 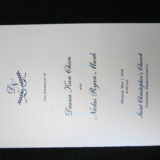 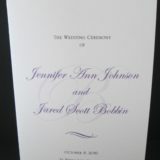 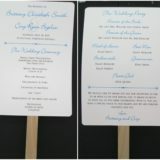 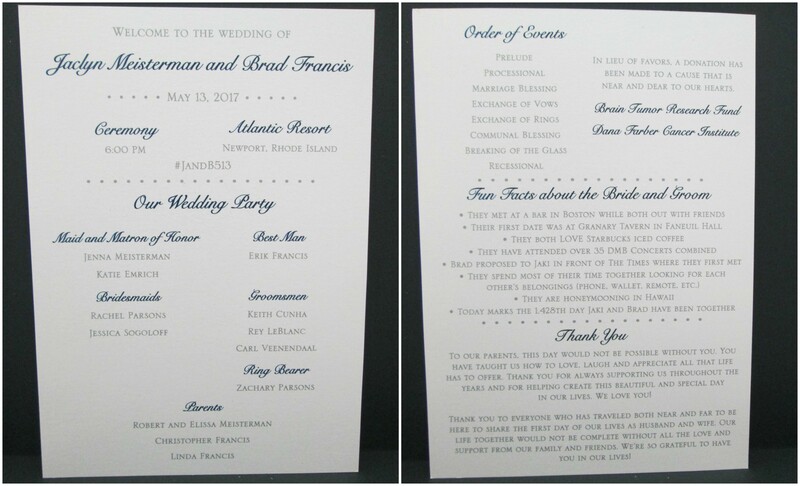 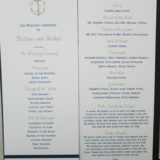 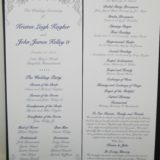 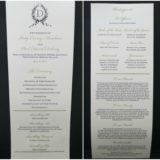 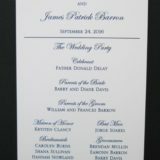 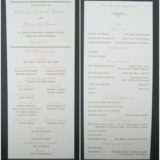 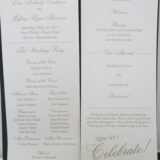 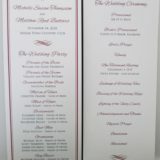 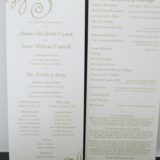 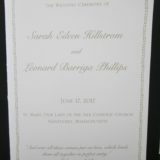 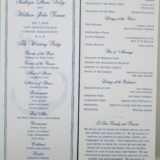 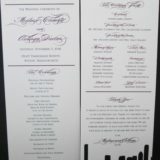 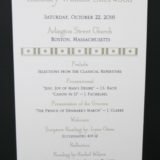 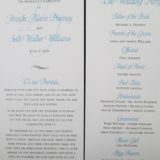 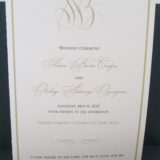 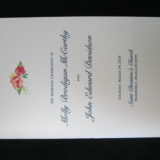 These can also match your invitation keeping a consistent look and feel throughout. 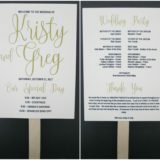 Add ribbon or bling to make them even more memorable.